Today I pass the 1/3 mark of my radiation treatments. I’m starting to think about “what about when this is over”. You’d think it would be a joyful thought. You’d think it would be filled with thoughts of “Hurray, this will be over soon!”. But I know that even if I am given a clean bill of health Cass and I will always live with “The Fear”. “The Fear”. Does my armpit feel normal? My throat feels uncomfortable. I was sweaty last night. Could it be that it was 42 deg Celsius? Or am I having a relapse? I feel tired. My workout was flat. Why don’t I have any energy? It’s the fear that cancer is not over… and perhaps will never be over, at least emotionally. This is the next hurdle that I hope to have the joy to deal with. It will be a pleasure to deal with it because it will mean that at some point I was declared to be in remission. But it still won’t be easy. 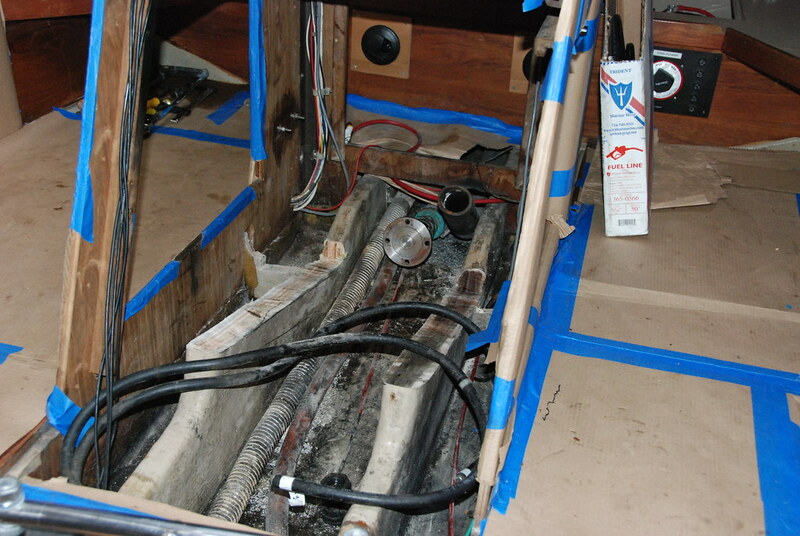 The boat’s engine compartment is an empty shell. 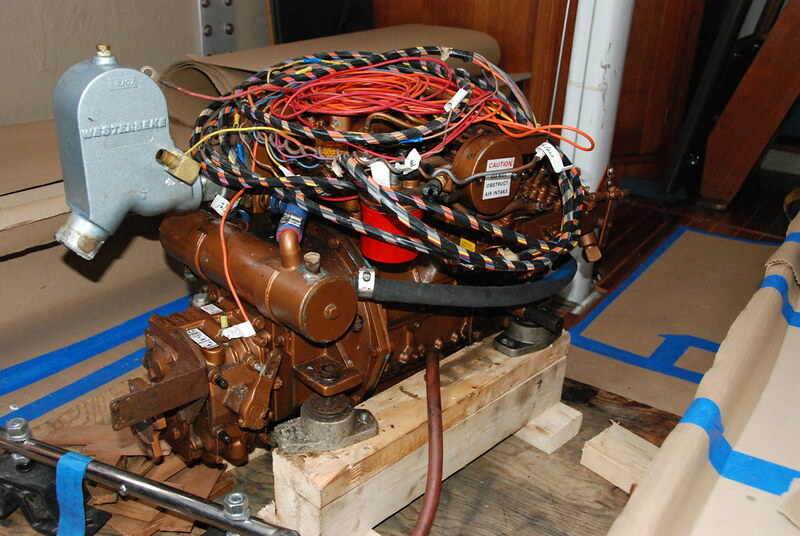 The old engine is out and the mechanics are preparing the engine beds for the new engine. It’s a dismal looking site. Like me, our boat has to submit to trauma to get to the other side of its sickness.